A defined nose bridge adds dimension to the face and enhances the other facial features. 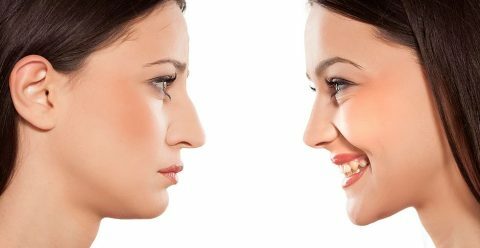 If you are afraid of a rhinoplasty surgery and the risks involved, HiKo nose lift is a great alternative. HiKo means “High Nose” in Korean. It is a minimally invasive cosmetic procedure originating from Korea using threads to lift the nose, giving a natural appearance without the scarring and downtime of surgical rhinoplasty. Synthetic absorbable material, Polydioxanone (PDO) monofilament suture thread, commonly used in surgery, are inserted into areas under the skin to support the nose structure. 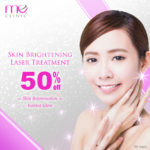 The threads also stimulate production of fibroblasts and collagen giving a lifting and tightening effect while the biodegradable threads will slowly dissolve safely. Local anaesthetic is used to completely numb the nose. The doctor will then insert the threads through a tiny puncture.. The entire procedure takes about 10 to 15 minutes. Fillers are viscous gels that tend to migrate outwards resulting in widening of the nose bridge. As the threads are solid, HiKo is able to give a more structured and defined look to the nose. Compared with silicone nose implants, patients will experience lesser pain, swelling and bruising, and only very minimal downtime.